The World Mission Prayer League’s (WMPL) mission, according to its website (wmpl.org/handbook/purpose), states “We are a Lutheran community committed to: a) know Christ, b) pray for the advance of his kingdom, c) share the Gospel and ourselves with those who do not know him, and d) encourage Christians everywhere in this global task.” Members of WMPL carry out this task by supporting missionaries, regardless of who has sent or supports them, engaged in communities around the globe through prayer and relationship. 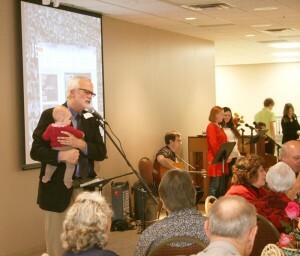 “We are not a missionary service, but a praying fellowship,” explained Chuck Lindquist, director of WMPL. He stated that there are 6,000 people from around the country — primarily the Upper Midwest, California, Seattle, and Pennsylvania — praying for 170 missionaries in more than 100 places, including Bolivia, Ecuador, Mongolia, and Nepal. Lindquist believes that individuals from the various streams can come together around prayer for mission and making God known throughout the world.